ROBBIE Williams is planning to become an actor. The 41-year-old singer has revealed he could be set to take a break from music next year in order to pursue a career on the small screen. He explained: "I've got a few irons in the fire that aren't necessarily musical. Nothing solid yet but it would involve TV. "Yeah, acting. I shouldn't have said anything because I can't say anything." The 'Angels' hitmaker - who has Theodora, three, and 11-month-old Charlton with his actress wife Ayda Field - teased he will also be involved in creating the show, as well as starring in it, if it goes ahead. Speaking ahead of his 'Let Me Entertain You' tour in Australia, he said: "I've got an idea for a TV show that I want to do. It may or may not happen - and at the moment it is happening and I'm excited about it." 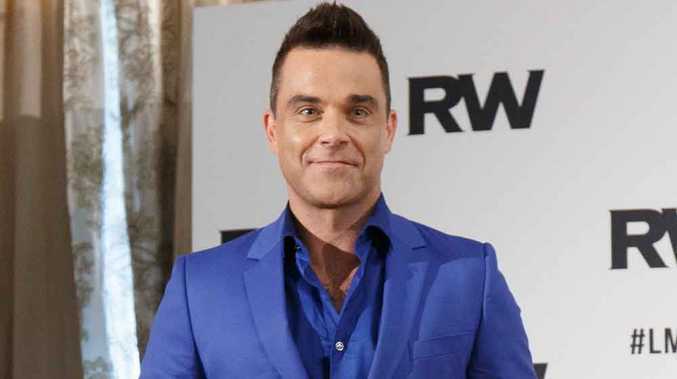 Robbie has previously been rumoured to appear on TV as a talent show judge, but earlier this year denied he would be taking a role on British singing competition 'The X Factor'. He tweeted at the time: "Said it once, I'll say it again: I'm unequivocally not doing X-Factor. Good luck to the show though. (sic)"